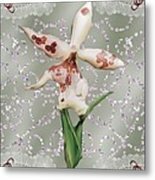 Thank you so much for your lovely feecback. Copyright 2010 RC deWinter ~ All Rights Reserved All things exotic appealed to many Victorians of all classes, and what could be more exotic than a striking tropical orchid in the damp, dreary atmosphere of mid-19th century London? 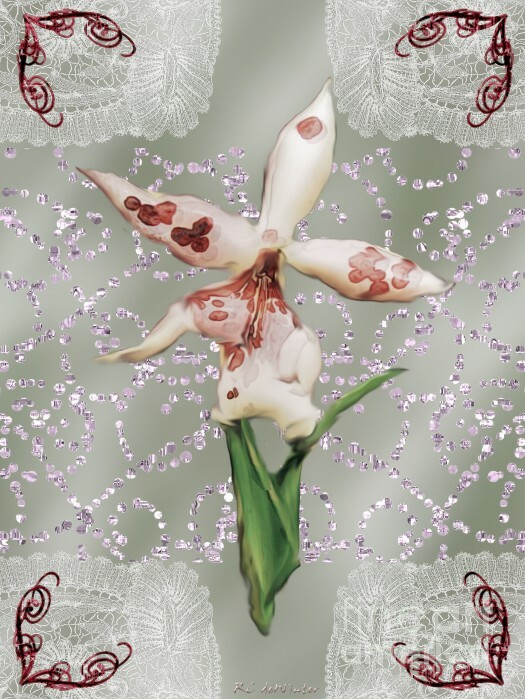 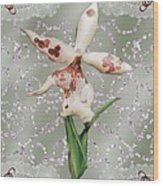 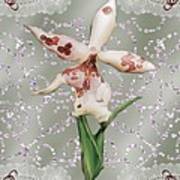 This postcard features a lightly enamelled orchid overlaid on a background of crystal beads, lace, and elaborate embellishments.